Customers can utilize the security and convenience of our night deposit bags to deposit their cash receipts at the end of, or during, the business day. 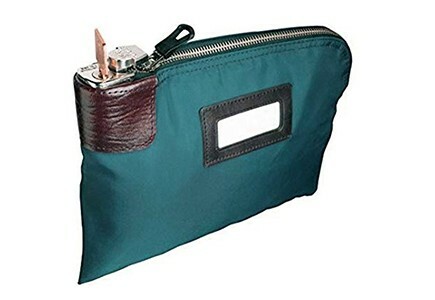 The bag holds up to approximately 1,000 notes and is ideal for businesses that handle large amounts of cash. This facility is available at all our branches. Disposable Night Deposit Bags are also available. They are used in the same way as our regular Canvas bags – and can be purchased for single deposits at any of our Branches. These bags are designed to withstand rough handling and shifting of cash and are tamper proof. The total number of notes a bag can contain at any one time is 1,500 notes.